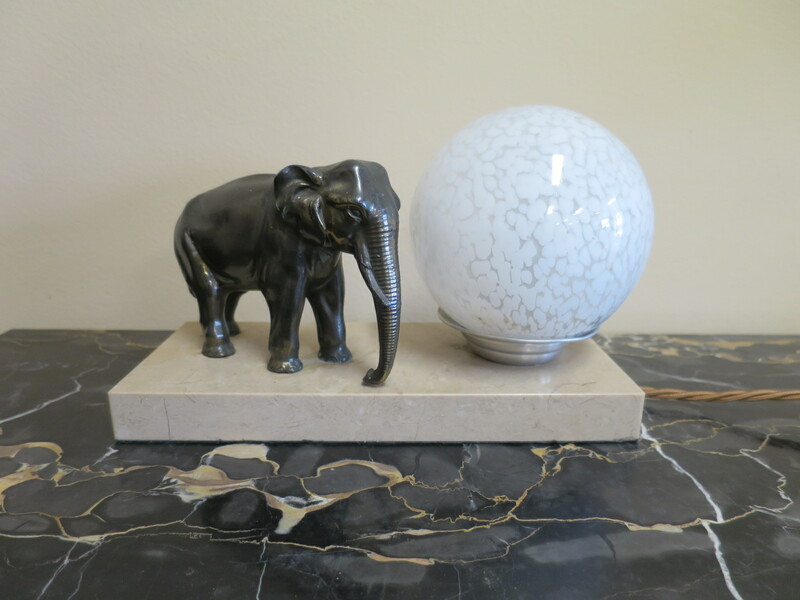 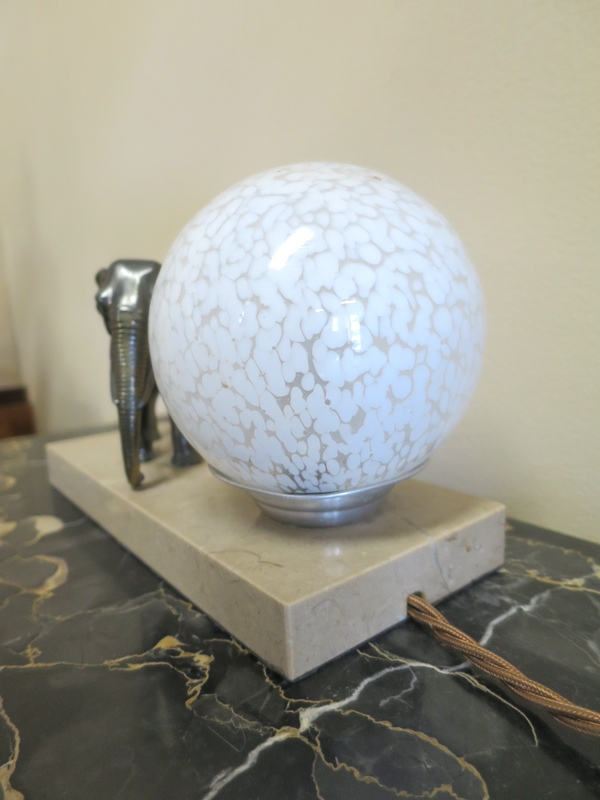 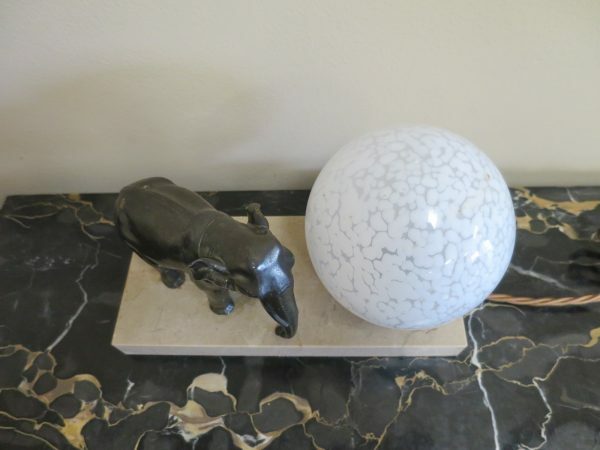 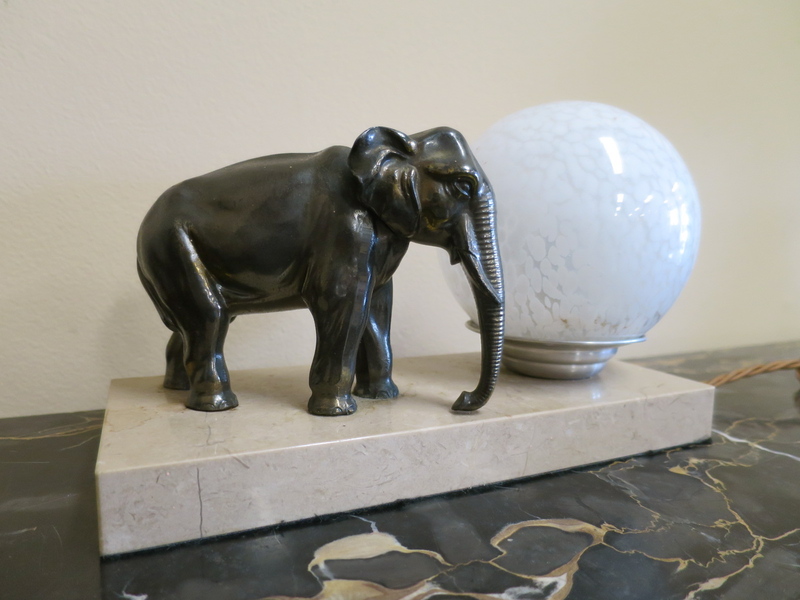 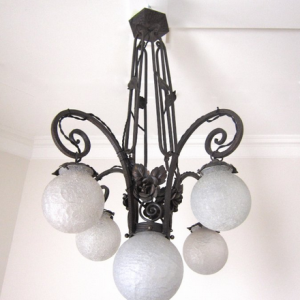 A French Art Deco table lamp on a marble base featuring an elephant and retaining the original glass shade. 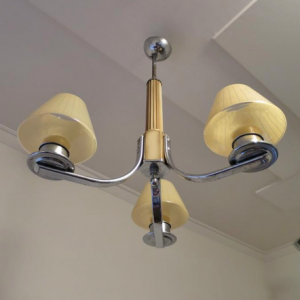 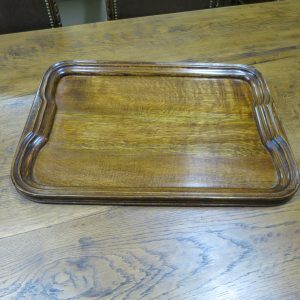 In excellent condition and re-wired ready for immediate use. Circa 1930.